Somehow, E. M. Forster, who detested imperialism, falls into this trap. The Indian characters in A Passage to India are all exotic. They are constitutionally incapable of acting like mature, honest and rational creatures. Dr. Aziz, the most sympathetic and well-developed of Forster’s Indians, is unable to appreciate the value of honesty. On the day of the incident in the Marabar caves he tells “a great many lies.” (175) He does not lie with malicious intent, he simply comes from a culture which puts no premium on honesty. He is, therefore, someone who has “no sense of evidence.” (302) Deeds which would be described as evidence of hypocrisy when performed by an Englishman are written off as the result of a mysterious culture so foreign as to defy any type of human universalism. Without a hint of irony the narrator declares of the Indians: “What they said and what they felt were…seldom the same.” (120) Aziz is not being a snoop when he reads Fielding’s mail because “The sanctity of private correspondence had never been ratified in the East” (344) . Yet there is no question that Forster personally preferred the company of Indians to Anglo-Indians. In fact, he could hardly contain his contempt for the latter. When accused of being unfair to the Anglo-Indians Forster responded, “how can I ever like them when I happen to like the Indians and they don’t” (Das 14). With the exception of Fielding, none of the British in the novel could be described as sympathetic characters, and Fielding utterly rejects the Anglo-Indian creed. Many of the Anglo-Indians in A Passage to India are well-rounded, but the colonists represent the most wretched traits of the English temperament. As Benita Parry observes, “by temperament and choice the Anglo-Indians are outsiders, hostile to India whether it be mosques, cave or temple, participating in none, understanding none, resenting all” (Parry, Delusions, 279). The metaphysical preoccupation of A Passage to India is a culmination of problems that Forster had been examining throughout his work, and his decision to cast his concerns in terms of Indian philosophy is innocent and logical. But the narrative decision to turn India into a metaphysical protagonist inherently antithetical to Western liberal humanism probably stems from larger cultural differences, the machinery of which is similar to that of the manichean allegory (JanMohamed 96). As Forster, the renowned humanist, attempts to make his Indians more sympathetic than their evil colonizers, he diminishes them into hideous caricatures. There are instances when it would be difficult to discern his depictions of Indians from those of an overtly racist apologist for Imperialism such as Kipling. Forster’s Indians are not merely prone to mysticism, but incapable of rational thought. Even Aziz, a man of science educated in the Western tradition, is unable to judge his friend Fielding rationally. This is because “(S)uspicion in the Oriental is a sort of malignant tumor, a mental malady, that makes him self-conscious and unfriendly suddenly; he trusts and mistrusts at the same time in a way that the Westerner cannot comprehend” (311). Why must suspicion, or, for that matter, any other normal human emotion, manifest itself differently in the person of an Indian than it would in an Englishman? The passage suggests that this difference in processing emotions is somehow racially based. We would expect a westernized Indian like Aziz to be torn between two cultures. But he is not nearly so complex; he is western only in manner. His secularism is merely an affectation and therefore no match for an ancient instinctual mysticism. When his children exhibit idolatrous behavior we see how superficial his rationalism is: “He didn’t want them to grow up superstitious, so he rebuked them, and they answered yes, father, for they were well brought up, but, like himself, they were impervious to argument” (332). But Aziz is not simply an irrational mystic–he is a childlike, fatuous creature who would certainly qualify for several of Benita Parry’s synonyms for exotic. By constantly fretting about whether his guests are well cared for he confirms the narrator’s conclusion that “(L)ike most Orientals, Aziz overrated hospitality, mistaking it for intimacy, and not seeing that it was tainted with the sense of possession.” (157) So, despite substantial westernization, Aziz, as a representative of his race, is constitutionally incapable of understanding something that would be obvious to any mature Westerner. Further evidence of his puerility is demonstrated when, in response to the death of Mrs. Moore “he wept like a child and ordered his three children to weep also.” (290) Aziz is unable to handle his emotions in a manly way, the way Forster’s alter ego Fielding would. When Fielding tries to speak intimately with Aziz about the strain in their relationship, he terminates the conversation with the ludicrous declaration “I say, shall we go pour water on to Mohammed Latif’s face. He is so funny when this is done to him” (279). Dr. Aziz, whose behavior hovers between immaturity foolishness, is someone an intelligent reader might imagine to exist. Godbole, on the other hand, is a crepuscular creation who personifies a contempt for Hinduism which Forster made no effort to conceal. Forster’s letters regarding the Gokul Ashtami Festival are “extremely condescending” (Crews 153). I cannot see the point in this, or rather in what it differs from ordinary mundane intoxication. I suppose that if you believe your drunkenness proceeds from God it becomes more enjoyable….I don’t think I can describe it better than this, and it is difficult to make vivid what seems so fatuous. (Hill, 160-61). If Forster means to present India as a “metaphysical protagonist,” as JanMohamed argues, then Dr. Aziz and Dr. Godbole obviously represent the relative regard Forster had for their respective faiths. In contrast to his disdainful reaction to Hinduism, Forster was “aesthetically gratified by a religion that is not grossly anthropomorphic” (Crews 152). Indeed, his frustration with the confusion and inconsistency of Hinduism heightened his appreciation for the moral absolutism of a monotheistic religion. 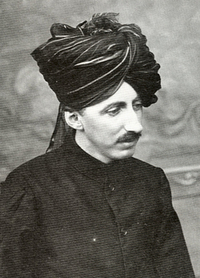 While in India E. M. Forster continued to struggle to make meaning out of his life. This endeavor was complicated by a condition which is the antithesis of invincible ignorance. An inveterate secularist, Forster nonetheless yearned for some type of spiritual union. He was able to find some comfort in his personal relationships with individual Indians, but his personal Passage to India was frustrated by the unfortunate reality that England and India (and therefore, Englishmen and Indians) are not polar opposites. By some strange alchemy of literature, Forester’s art is not damaged by this confusion. One might even argue that he achieves aesthetic harmony by oversimplifying his Indians. (A similar point can be made regarding his female creations.) However, that which is artistically appealing can be socially disastrous. By degrading a people who had been abused and exploited by his countrymen for centuries, Forster exposes another “peril of humanism.” Art cannot be justified merely for its own sake. Beer. Totowa, NJ: Barnes & Noble, 1986. 1-15. _____. The Hill of Devi. New York: Harcourt, Brace, 1953. Writing and Difference. Ed. Henry Louis Gates, Jr.
Chicago: U of Chicago P. 78-106. British Imagination. Berkeley: U of California P, 1972. Beer. Totowa, NJ: Barnes & Noble, 1986. 27-43. This entry was posted on September 23, 2009 at 1:42 am and is filed under Essay. You can follow any responses to this entry through the RSS 2.0 feed. Responses are currently closed, but you can trackback from your own site.